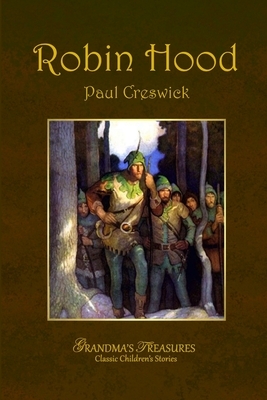 Robin Hood by Paul Crewwick Paul Crewwicks Able Retelling Of Robin Hood. Robin Hood( Spelled Roybn Hode In Older Sources) Is A Historic Outlaw Found In English Folklore Who, According To Legend, Was Also A Highly Skilled Archer And Swordsman. Creswick Recounts The Life And Adventures Of Robin Hood, While Drawing From Rich And Varied Lore Surrounding The Beloved Outlaw. This Brilliant Reworking Of Robin Hood's Many Adventures Is A Vibrant Introduction To Friar Tuck, Little John, Maid Marian, The Sheriff Of Nottingham, And Of Course, Robin Hood.